Fellow humans. There are so many seemingly unpleasant chores, tasks, and duties in this life that actually make us happy in the long run. No one actually wants to do them in the moment, but many-a harvest has been reaped by sowing the unpleasant seeds when it didn't seem desirable. Some days, it feels like work to raise a bilingual toddler. My brain simply doesn't want to put in the extra effort to find the word in Spanish. I just don't feel like thinking of the subjunctive. You mean I have to look up that turn-of-phrase on the internet? Oh the humanity! But with much work on the front end comes high reward on the back end. Some days I receive positive reinforcement for this arduous work - like when Pippa started saying "ah-may" (hambre) when she was hungry. Or the fact that she only says agua instead of water. Or más instead of more. These little things make my heart sing, and I'm glad Past Emily put in the work for Present and Future Emily and Pippa. Perhaps you're tired. Perhaps you have been procrastinating or avoiding something that you know is good for you in the long run. Whatever your Everest is today, let's all support one another in our efforts and gather some inspiration to push through. I promise it will be worth it - whether it's disciplining your young child or getting up at 5:30 a.m. to work out. Whether it's writing a few pages of that books you've been meaning to write, or writing that email you've been dreading. Whether it's avoiding sugar or running that extra mile today. Do. It. Now. The struggle is nothin' but love. Have you guys seen this guy? Kid knows what's up! and he's only in high school! 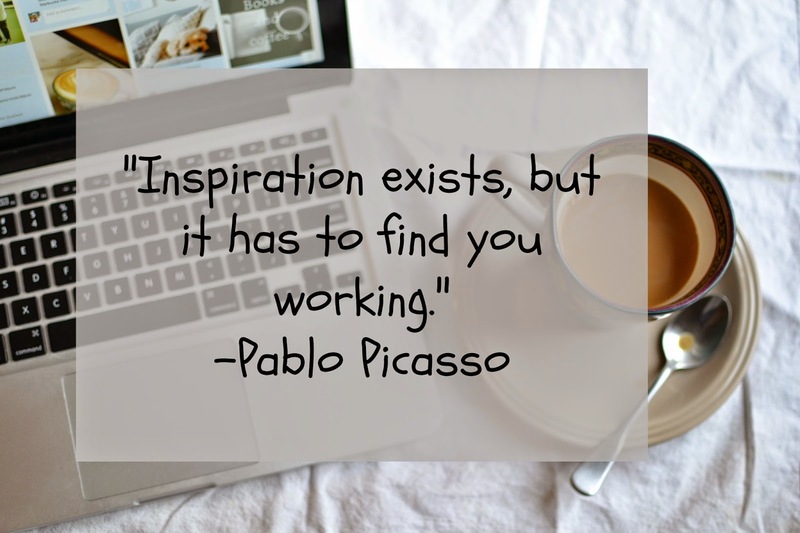 What gets you inspired when you're in the trenches and you just don't feel like it?